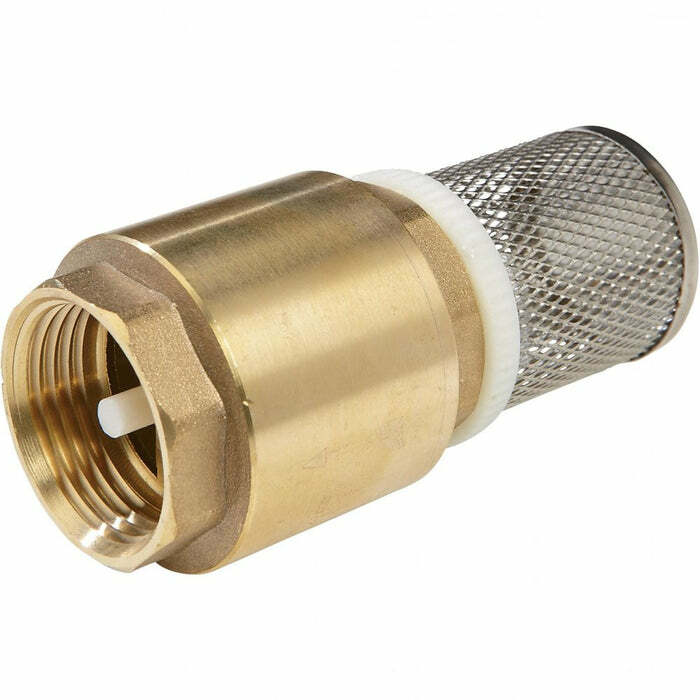 Brass Foot Valve with Stainless Steel Strainer – Freeflush Rainwater Harvesting Ltd.
Brass Foot Valve - 1 1/4" Pump Inlet with Stainless Steel Strainer and one way valve. The Standard foot valve has a 1 1/4" female thread so a variety of hosetails and fittings can be fitted to the hosetail. The foot valve is offered with an optional 1" hosetail. This item is ideal for fitting to an existing pump and allows the hose to be dropped into the water storage. Water is drawn through the foot valve whilst the strainer prevents debris entering the pump impellers. Maintaining the footvalve below the surface of the water ensure the floating debris does not enter the pump. The one way valve ensures the pump does not lose its prime.